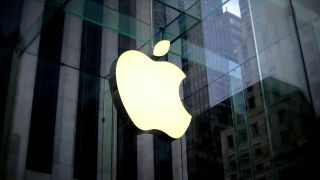 Apple’s bid to make its supply chain more environmentally friendly has been boosted by commitments from more suppliers to use renewable energy for production related to the manufacturing of products like the iPhone. The Cupertino-based company has used clean energy to power all of its global facilities for the past year now but is aware that three quarters of its carbon footprint is generated through manufacturing. It has spent $2.5 billion on environmental initiatives that have helped reduce its carbon footprint for three years in a row. Meanwhile, it has set up an online platform that allows suppliers to identify sources of renewable energy around the globe. The new signatories to this clean energy pledge include Foxconn, a major manufacturing partner, and will see Apple exceed its target of introducing four gigawatts of renewable energy into its supply chain by 2020. Indeed, it could add an additional gigawatt in that same timeframe. Apple’s use of renewable energy, and its reduction on the amount of hazardous chemicals used in manufacturing, has seen it score well in Greenpeace’s Guide to Greener Electronics. However, it has been criticised for making its devices difficult to repair and therefore reducing their lifespan. A battery replacement programme has gone some way to alleviate these concerns.